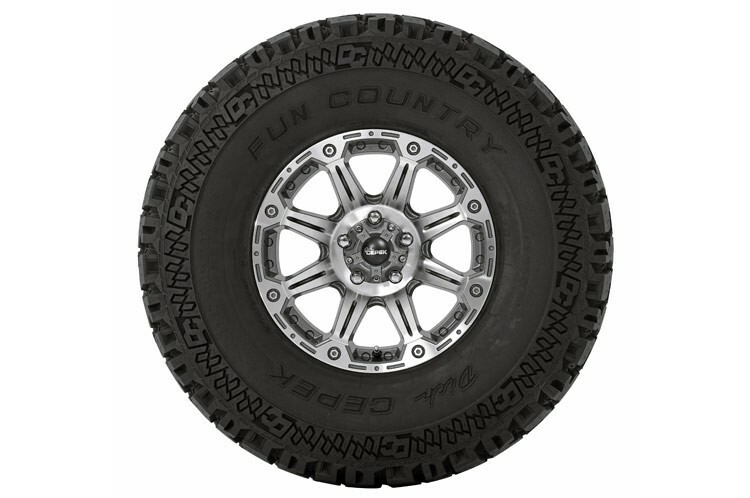 The Fun Country® was developed using a unique combination of design elements, technology and engineering to deliver excellent off-road traction, a quieter ride and superior durability for today's light trucks and 4x4's. 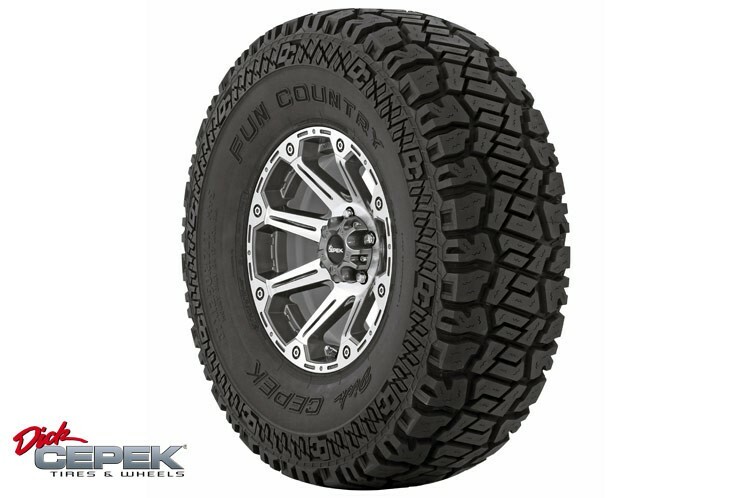 Wide lateral and offset tread grooves together with the larger surface area deliver excellent grip and responsive off-road traction. Stone ejector ribs and ultra-thin sipes resist stone retention and cracking. Notched shoulder edges, scalloped ribs, and an enhanced buttress design maximize off-road traction and prevent lug tearing. Computer optimized pitch sequence in the tread design reduces pattern noise for a quieter ride and even wear. New compound offers improved cut and chip protection. Deep, aggressive, multi-dimensional sidebiters for grip and protection. Tread elements interlock without sacrificing void. 3-ply sidewalls with cross ply technology for better handling, increased puncture and tear resistance at the sidewall, and better towing capabilities.